Despite trawling all the way through the Fujitsu/Toshiba booth for anything out of the ordinary, we came up short. 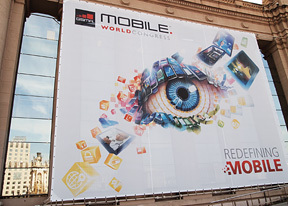 That was of course until we caught wind of this innocuous little tablet lurking somewhere in the halls at MWC. Toshiba had a number of phones and tablets on display at their main stand, but we found this unnamed device sitting amongst a host of similarly powered Tegra 3 devices at the Nvidia booth. Nvidia told us that as far as they're aware, the tablet doesn't yet have an official name, although the settings screen referred to the device as the 'AT270'. 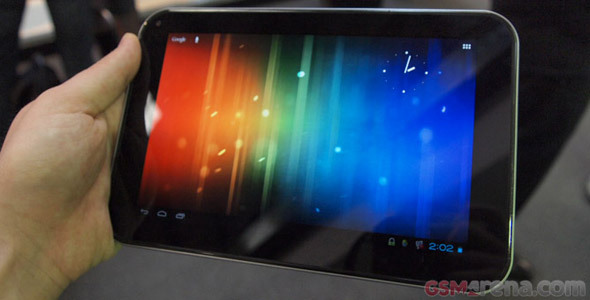 This 7.7" tab uses a beautifully bright and vivid WXGA (1280x800) SuperAMOLED display and runs Android Ice Cream Sandwich 4.0.3. Beyond that the specs list ran out (aside from the Tegra 3 aspect obviously), but we'll likely see its official release in the not too distant future.